I'd like to welcome my newest sponsor, Mezuzah Master! A Mezuzah is a hand-written scroll that is affixed to the doorpost on a Jewish home. It is a reminder of our faith and a symbol of G-d's watchful care over the house and its dwellers. You can read more about Mezuzahs here. Although the scroll is the important part, it needs to go in a case--so why not choose something beautiful that reflects you and your home? 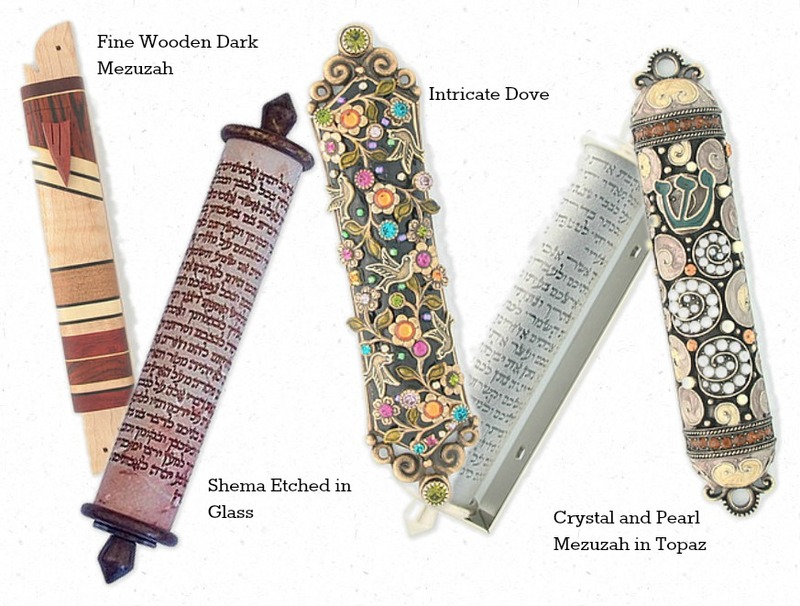 Whether your taste runs from jeweled and fancy or clean and modern, Mezuzah Master will have it and with excellent prices! Here are just a few favorites of mine--and there is no better time than now--before the high holidays to add or replace a Mezuzah. These are beautiful. I really like the intricate dove design.